Kenney Machinery Corporation, an Indianapolis-based Toro turf equipment distributor, has partnered with the nonprofit organization TrueU to give employees personal development opportunities that will enable them to perform at higher levels at home, in the community, and at work. Thanks to these opportunities, several employees have already completed service projects that are making a difference in their communities and overseas. As a Toro turf equipment distributor serving Indiana and Kentucky for over half a century, Kenney Machinery Corporation has long made it a priority to help their employees develop personally and professionally. The company’s purpose statement, “Growing people who grow the green industry”, speaks to their commitment to the philosophy that their success as a company is directly tied to the personal success of individual employees. Now, thanks to a partnership with the Indianapolis-based nonprofit organization TrueU, employees have more opportunities than ever for personal growth—and it’s already making an impact. While most of the charitable service opportunities are close to home, some have involved trips abroad. 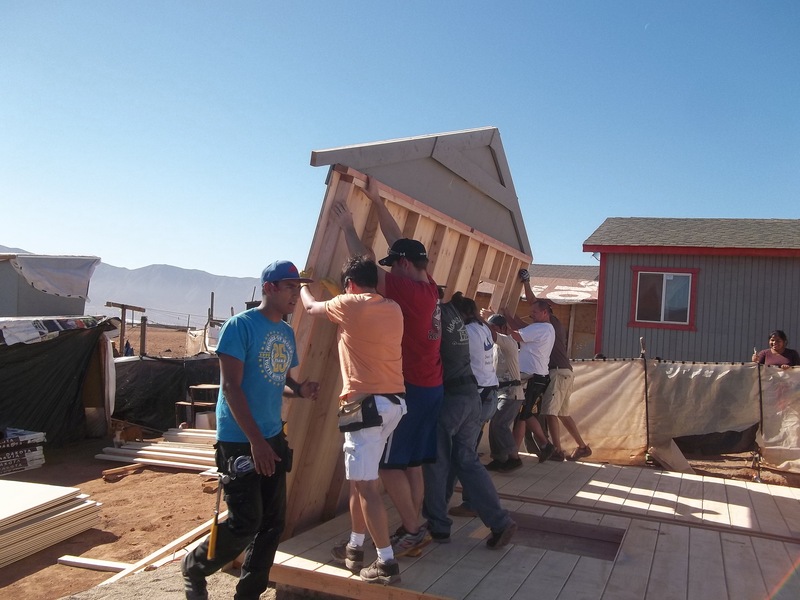 One powerful example of this is a project that Kenney Machinery general manager Angie Hubble recently completed in Ensenada, Mexico with the organization Homes for Hope. During the course of her trip, Angie and a team of 15 other volunteers built a home for an impoverished family of four in that community, who up to that point had been living in a shack consisting of tarps wrapped around tree limbs. “I knew people lived in poverty, but to be there and experience it was life changing”, said Angie. “I had never done anything for any type of charity prior to doing this, and it was really a very humbling experience for everyone on the trip. It also opened my eyes to what kind of difference we can make as a company, both here in our community and abroad.” Angie was so moved by the experience that she is making a second trip to Mexico with Homes for Hope, this time as a team leader. The trip that Angie completed was part of a six-month TrueU program on servant leadership. Employees in the program spend two days each month taking classes on topics such as coaching, trust, and other leadership development skills. It’s one of several programs that Kenney Machinery employees are participating in during the course of the year. In addition to these programs, employees are also given paid time off work to complete service projects in the local community. Updates on how the TrueU programs are benefitting individual employees and the company as a whole will be posted on the Kenney Machinery blog throughout the year. Business leaders who are interested in finding out more about how TrueU might be able to help their organization can find more information at http://www.trueu.com.